A long downhill par 4 which can catch a few out from the tee. This fairway directs you to the pond so don’t be too brave with the tee shot. 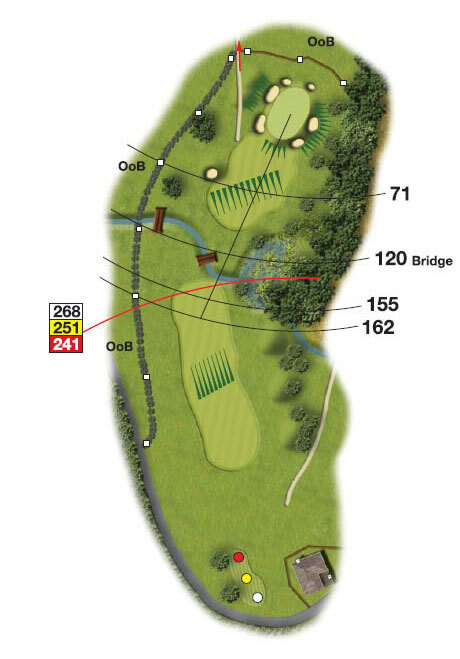 The second shot finds you hitting uphill to a well protected green of five bunkers. A par will leave you satisfied.